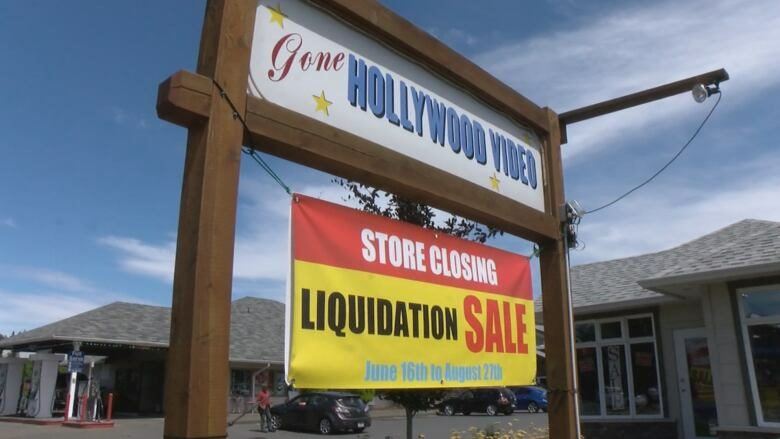 Gone Hollywood Video's independent and foreign films have been favourites for Vancouver Island residents whose rural internet service can make streaming video difficult. The last video rental store in B.C. 's Comox Valley is closing — but not for reasons you might expect. Having outlasted all the major competition, it's not a lack of demand that's causing Gone Hollywood Video to close its doors, but problems sourcing physical copies of movies. Owner Kevin Dol says he was left with no choice after his main supplier turned off the taps. "We kind of got the phone call from them that, that was it, they're not supplying anything anymore," Dol said. "I said I'd keep going until my hand was forced, and that's basically what happened." The loss of Dol's main supplier means he would have to track down multiple smaller suppliers to maintain a decent selection. Ultimately, he decided it wouldn't be worth the headache. He's saddened by the decision — and so are many of his customers, who have remained loyal patrons despite the rise of online video streaming. Slow internet means DVDs still reign in rural N.S. He attributes his store's longevity to his staff and the personal touch they bring to the movie rental experience. Most of them have been there since Dol and his wife took over the store more than 10 years ago. "We offered so much input on the movies," Dol said. "We made sure that we watched them, and brought a lot of real independent videos in." Dol said he noticed a slight drop-off in business when Netflix first rose to prominence several years ago, but he's seen a resurgence in recent years as people realize not everything is available online. Indeed, independent and foreign films have been Dol's biggest hits. The all-time number one rental? The original British Death at a Funeral. Gone Hollywood Video will close at the end of August and all 12,000 DVDs, Blu-Rays and video games must go. Dol says the thing he'll miss the most is the customers, many of whom come from as far away as Mount Washington or Campbell River, where internet service makes streaming video a spotty proposition. "I've seen kids from the day they were born to now teenagers still coming in to rent from me," Dol said. "It's the people. It's my community. And I'll still see them as I'm around, but that's what I'm going to miss the most." With files from CBC Radio One's All Points West and CHEK News.